Hi there! 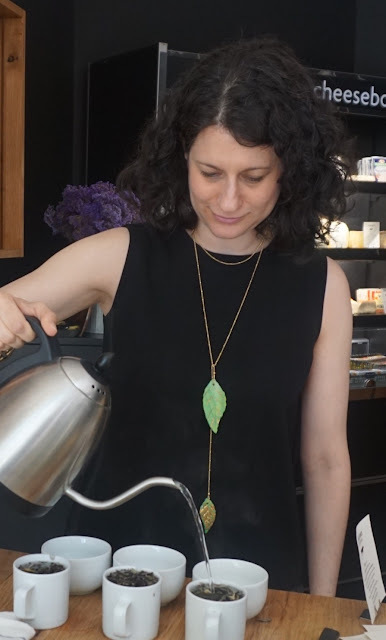 I'm Sara, a Brooklyn tea lover always looking for a new tea adventure. I love the flavors, culture, emotions & history behind tea. I use my palate to write about tea for various websites, and even judged the International Chocolate Awards. In 2018 Tea Happiness was nominated for a World Tea Award! In addition to blogging, I consult for in-store tea events, and conduct tea introduction classes for school-aged children. 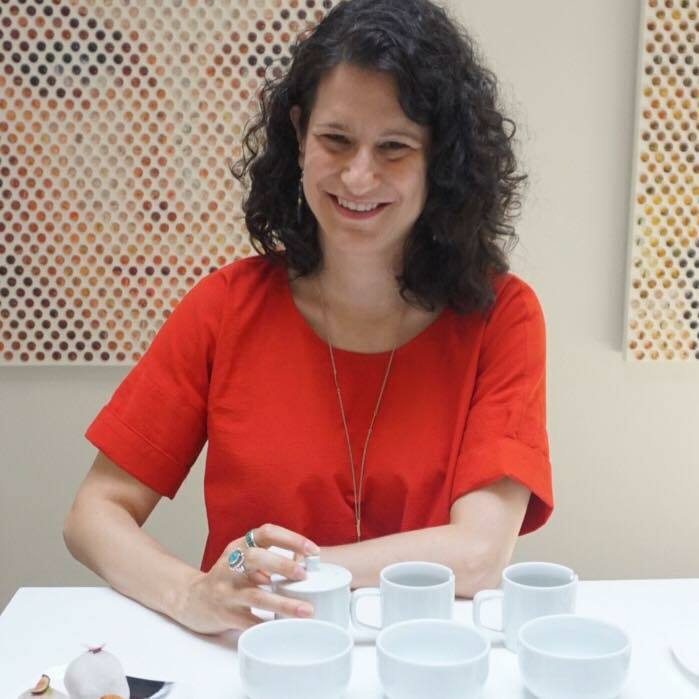 I'm a certified Tea Sommelier, I completed a multi-year tea program with ITEI. But I am forever a student of the leaf. The journey of tea lasts a lifetime. I express my passion for tea through photos, interviews, reviews & articles about tea culture on my blog and on Instagram. I am a working mom with two young children who are also budding tea aficionados. You will always find a cup of tea at my side whether meditating alone, or relaxing over many cups with friends. Feel free to contact me, I'd love to hear from you. Hi Tara, thank you for your lovely comment! I hope you enjoy. Let me know if you ever have any questions. I'm new to your blog, and I just wanted to let you know how lovely it is. I, too, am an avid tea drinker, but I'm not nearly as knowledgeable as you. I'm looking forward to reading your blog and learning more. I would like to personally congratulate you as your blog Tea Happiness has been selected by our panelist as one of the Top 100 Tea Blogs on the web. I personally give you a high-five and want to thank you for your contribution to this world. 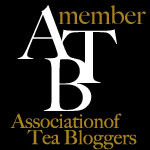 This is the most comprehensive list of Top 100 Tea Blogs on the internet and I’m honored to have you as part of this! I am interested in ordering Tie guan yin - oolong tea from teavivre for myself but quite skeptical about the quality of the same. could guide me with regard to its selection. Hi Mufaddal, I apologize for the delay in my reply. I find the quality at Teavivre fairly good, depending on the product. I've had their Tieguanyin before, and have found it satisfactory. They are a good source for Chinese teas. If you are looking for Taiwanese oolongs I'd recommend Eco Cha. Take Care!